The Curiously Limiting Twist for Google Glass Applications. 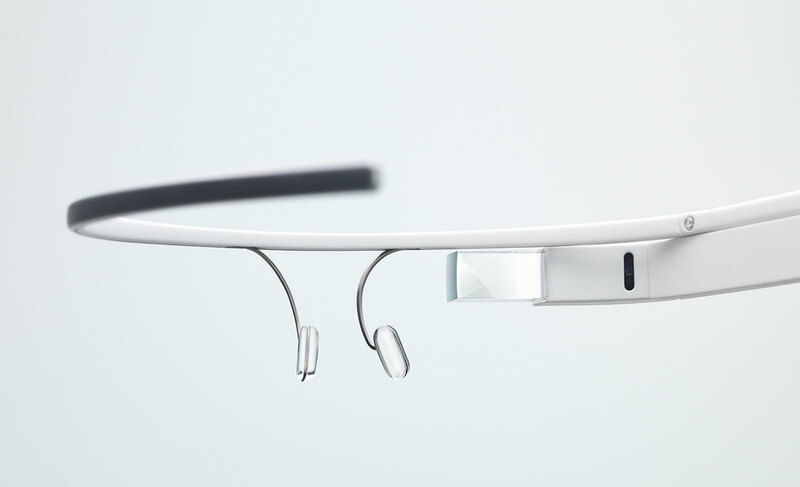 There’s little doubt that Google’s Project Glass is going to be a disruptive technology, although whether that comes from revolutionizing the way we interface with technology or more because of the social implications will remain to be seen. Considering that the device has been limited to the technically elite and the few that got in on the #ifhadglass competition (disappointingly restricted to US citizens only) we still don’t have much to go on as to how Glass will function as an everyday technology. Sure we’ve got lots of impressions about it but the device is still very much in the nascent stages of adoption and third party development on the platform is only just starting to occur. We do have a much better idea of what is actually behind Google Glass though thanks to the device reaching more people outside the annals of the Googleplex. From what I’ve read it’s comparable to a mid range smartphone in terms of features with 16GB of storage, a 5MP camera capable of taking 720p video and a big enough battery to get you through the day with typical usage. This was pretty much expected given Glass’ size and recent development schedule but what’s really interesting isn’t so much the hardware that’s powering everything, it’s the terms with which Google is letting you interface with it. Third party applications, which make use of the Mirror API, are forbidden from inserting ads into their applications. Not only that they are also forbidden from sending API data, which can be anything from feature usage to device information like location, to third party advertisers. This does not preclude Google from doing that, indeed the language hinges on the term 3rd party, however it does firmly put the kibosh on any application that attempts to recoup development costs through the use of ads or on-selling user data. Now whether or not you’ll be able to recoup costs by using Google’s AdSense platform remains to be seen but it does seem that Google wants to have total control of the platform and any revenue generated on it from day 1 which may or may not be a bad thing, depending on how you view Google. What got me though was the strict limitation of Glass only talking to web applications. Whilst this still allows Glass to be extended in many ways that we’re only really beginning to think of it still drastically limits the potential of the platform. For instance my idea of pairing it with a MYO to create a gesture interface (for us anti-social types who’d rather not speak at it constantly) is essentially impossible thanks to this limitation, even though the hardware is perfectly capable of syncing with BlueTooth devices. Theoretically it’d still be possible to accomplish some of that whilst still using a web app but it’d very cumbersome and not at all what I had envisioned when I first thought of pairing the two together. Of course that’s just a current limitation set by Google and with exploits already winding their way around the Internet it’s not unreasonable to expect that such functionality could be unlocked should you want it. There’s also the real possibility that this limitation is only temporary and once Glass hits general availability later this year it’ll become a much more open platform. Honestly I hope Google does open up Glass to native applications as whilst Glass has enormous amounts of potential in its current form the limitations put a hard upper barrier on what can be accomplished, something which competitors could rapidly capitalize on. Google aren’t a company to ignore the demands of developers and consumers at large though so should native apps become the missing “killer app” for the platform I can’t imagine they’d stave off enabling them for long. Still the current limitations are a little worrying and I hope that they’re only an artefact of Glass being in its nascent form. Time will tell if this is the case however and the day of reckoning will come later this year when Glass finally becomes generally available. I’ll probably still pick one up regardless, however. Don’t Turn me to AdBlock. I’m probably one of the few geeks that doesn’t try to aggressively block all the ads that come to them via the Internet. I don’t find the majority of them intrusive to my browsing, especially if they’re the typical Google text blocks that sit nonchalantly beside the other wall of text that I’m staring at. Even the video ones, well mostly the ones on video sites like YouTube, are pretty tame and if they’re overly long you’re usually able to skip them after 10 seconds or so. My primary reason though is that I know that these ads support the websites that they’re on and the least I can do is let them show them to me. I often get asked why I don’t run ads here on The Refined Geek. For the most part it’s laziness as the way I want to show ads isn’t exactly simple to set up. If I was going to show ads now I’d only want to show them to a subset of my readers (people coming here from searches and those who haven’t commented) and there’s no simple solution for that. Additionally right now I’m not really getting enough visitors to justify it as hosting this blog is cheap and I’m not exactly struggling financially. Once I reach a certain threshold of readers though you might see ads that are there to keep the site running, but that’s a little way off for now. However recently I’ve noticed a trend with the ads that get presented to me. They’re all the damn same. Now I do a lot of Googling, almost all of it when I’m logged in under my Google account. This means that Google knows quite a lot about me, enough to serve me some pretty targeted ads. In the past they’ve actually been helpful in tracking certain things down, especially if I’m looking to purchase something. However lately I’ve noticed that for certain sites I’m only getting served the exact same ad over and over again. This isn’t a caching issue or anything like that because it follows me between work and home. The most annoying part of it too is that I’m getting products advertised to me that I was already interested in buying or have already bought. I have 3 examples of this which is what has made me think there’s something more to this than just dumb luck. The first I noticed a couple months back when I did a search for synthetic diamonds, wanting to see how far they’ve come in the past couple years. Now on certain sites all I’ll get is an ad for a particular online diamond store, over and over again. The second was for the GoPro HD Hero 2, a great little camera that I’m looking to take with me when I do Tough Mudder in just over 6 weeks. The third and final one is for Fat Gripz, an exercise accessory that came recommended to me from my brother in-law. I’d say about 50% of the ads I see online are these and they’re getting to the point where I want to block them entirely. The explanation behind this is mostly likely that these are the highest paying ads that the site can display when I visit the site. The way AdSense works is that advertisers bid for the space by putting up their cost-per-click price and then Google will show the best ad for the slot. The diamond store, GoPro and Fat Gripz likely have high CPCs due to their products having a decent margin in them (Fat Gripz especially) and thus they can afford to pay a lot more than others to get the same advertising space. Still you’d think after I’ve seen the ad 100 times and not clicked on it they’d get the idea and start rotating out other ads, but that doesn’t seem to be the case. This is mostly just me whining about something that’s not much of an issue but as someone who’s trying to be a good netizen I feel like I’d hope my experience wouldn’t be bad enough to turn me to blocking them completely. Reddit et. al. gets this with many of the ads being rotated out for thank you pictures for those of us not running ad block. It’s not much but it does go a long way to help stem the flow of people to using things like AdBlock Plus. For now I’ll probably leave everything as is but if this trend continues I’ll soon be joining the ranks of my ad-block brethren.